bring this treasure to light”. It seems to me that somebody who demonstrates to that degree that he has not the foggiest idea of what archaeology and cultural heritage is and how it should be looked after really should step down as Minister of Culture and make away for somebody who does. What on earth was the guy thinking? British archaeology is on the verge of collapse and this is the muppet that has the responsibility for the branch? Now last time this phrase dropped from the lips of a British Minister of Culture and a fuss broke out, PAS bent over backwards to disassociate themselves from it. The Minister had "spoken off the cuff without consulting us first" wimpered Roger Bland, bewildered by the fuss, "of course we would have stopped him if we'd known what he was going to say" - that is despite the statement being relayed to the World's uncritical press through the BM press office. And what is the excuse this time? You should consider why PAS was set up 15 years ago. It was NOT because it was felt “artefact hunting = good” . PAS was tasked with outreaching to, educating and persuading artefact hunters in order to mitigate the malign effects of what was universally seen as a damaging activity (which it still is – see the Artifact Erosion Counter). It was not set up to partner, promote, encourage or expand the activity – those are perversions of the intended purpose – as are statements by two Culture Ministers saying metal detectorists are heritage heroes. The hope expressed in the Commons in the debate that set up the Treasure Act: “I trust that we will now join the great majority of other civilised countries in passing a law to protect our rich and important heritage of portable antiquities” has yet to be fulfilled by a single molecule. Talk of heroism isn’t going to help. consider this: no foreign Culture Minister talks like you and no other country is clamouring to legalise an army of artefact hunters so they can unearth their own treasure items – responsibly, heroically or any other way, even though it’s a cert they’ll all have them. No, marvellous though some of the treasure is, it comes at far too high a price and every other country knows it does". Vignette: Ed Vaisey in metal detectorist garb having a go at finding treasure. New headline figures, published today, show that last year (2012) a shocking 998 cases of legally protected Treasure had been hoiked out of their archaeological context in England, Wales and Northern Ireland, the highest level of such erosion of the archaeological heritage since statistics were first published 5 years ago. 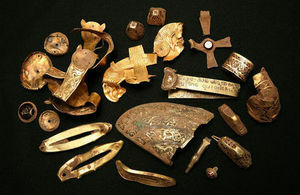 A detailed break-down of the equivalent figures for 2011, also published today, reveals that in that year a massive 92 per cent of all these losses of such archaeological material was caused by unrestricted artefact huntingwith metal detectors, currently unregulated by any law. There’s something essentially disturbing about this trend, and my Department is worried that each year reveals still more cases of this nature. The archaeological record of our country is a precious, but also finite and fragile resource faced with threats from all sides. Deliberately removing these items from their burial context by artefact hunters and collectors on such a massive scale prevents us from using them as archaeological evidence to help us get a fuller picture of how life was lived centuries ago. Also dealing with such finds when reported adds enormously to the financial burden on our already under-resourced heritage sector. There is simply no possibility to raise the resources to professionally investigate each findspot from which such material has been removed to the degree required, still less organize proper analysis and publication. I salute all the responsible members of society that do not yield to the temptation to exploit our nation's precious archaeological heritage in the selfish pursuit of personal entertainment and profit – they are the true heritage heroes - whose patience and unceasing support for real archaeological research do so much to help protect our nation's buried heritage. @DCMS @edvaizey absolute rubbish. Heritage heroes are the people who look after our heritage - not those that seek sordid profit from it. True "heritage heroes" are museum staff, local authority HER Advisors, the thousands of volunteers at local societies and academic researchers as well as archaeologists, conservation officers, curators and conservators. At what stage will we decide to act collectively to support under-resourced and vulnerable services and thus ensure that our historic sites and landscapes receive the protection that they require through the planning process? Will we rise to meet this challenge as we did in the early 1970s or will future generations look back on the early 21st century as the time when we abandoned our past to short-termism and financial expediency? An interesting Wikipedia page "Archaeological looting in Romania". Some looters use flocks of sheep in order to justify their presence in the area: they camp near the archaeological sites and use donkeys to carry their equipment. The article is mostly about the Dacian bracelet hoard(s) and Koson coins. It would be nice to see a balanced account (fat chance there is of that !) on "Archaeological looting in England and Wales". Some looters there use metal detecting in order to justify their presence in the area. What's the first thing you notice? The Leutwitz Apollo's lost its lean. Is this photo-trickery or is the display base slanted? Whatever the reason the Leutwitz Apollo does not look so unlike the copies it is displayed with like that, does it? But then is the essential feature of this piece of art (as it exists today) not being obscured here? If that is a deliberate effect, is that intellectual honesty on behalf of the displaing institution? The group [...] questioned "whether there is a demonstrated need for such protection," asking "If the United States is not a market, how can the imposition of U.S. import restrictions, even if done in concert with others, be of 'substantial benefit in deterring pillage?'" I really do not see how anyone in seriousness could deny that the US is a major and voracious buyer of all manner of cultural property from all over the world. In nay case restricting sales there to items with the proper paperwork is surely doing the licit side of the US market any harm. Loud protests like this from US collectors and their organizations are doing nothing to protect America's already tarnished image abroad. They are undermining America's soft power capabilities in the region and beyond. In the Holy Land region, the antiquities theft industry is a highly lucrative multi-million dollar illicit business involving illegal excavators, dealers, and collectors, working in Israel, the West Bank, with contacts abroad. The most highly-skilled excavators come from villages in the south Hebron Hills area where generations of men have made a living from illegally excavating antiquities from archaeological sites within the Green Line. They search for all types of collectable relics, but in particular, coins from the Bar Kochba era which can fetch thousands of dollars from collectors abroad. They have no problems shifting them to no-questions-asking buyers. Israel Antiquities Authority anti-theft officers and police from the Kiryat Gat station on Sunday arrested a man from the moshav of SdeMosheh, suspected of stealing antiquities from archaeological sites in the Lachish region. The man was arrested a few months after he was first caught by IAA enforcement officials with a metal detector digging illegally in an archaeological site, after which they began to perform surveillance on him. On Sunday, they arrived at his house backed up by Kiryat Gat police to execute a search warrant. During the sweep of the house they found a number of relics including ancient coins, candle holders, and metal tools used for excavating. They said they also found some documents indicating that he had been dealing in antiquities. The 43-year-old man could now potentially face charges of damaging an archaeological site and dealing in antiquities. There have been other recent successes in the fight against looting, this arrest comes two days after IAA enforcement officials caught three men, two from Beit Lehem (Bethlehem) and one from Kfar Nehilin, illegally digging in an archaeological site in the Valley of Elah (Ben Hartman, 'Antiquities thieves who allegedly sneaked into Israel on donkeys to face indictment', Jerusalem Post 28th October 2013). The three men were surprised by anti-antiquities theft officers backed up by Border Patrol and police officers while they had in their possession metal detectors, excavating tools, and ancient metals and relics, they denied that they had been digging for relics and stated that they were at the site gathering medicinal plants. According to the IAA , the site where they were caught includes relics from the Hellenistic, Roman and Byzantine eras. They had entered Israel from the West Bank "riding on donkeys through a mountainous area where the separation fence had still not been completed". Bennett (2013, pp 53-72) describes the "exhaustive research" which the CMA claims to have done in May to December 2003 (but no later?) on the Leutwitz Apollo which they bought in the summer of 2004 in order to establish its authenticity and collecting history. In the book, mention is made of the consultation with specialists, the taking of "physical samples and x-rays and investigat[ing] fully the Apollo's ownership history" (p. 53). 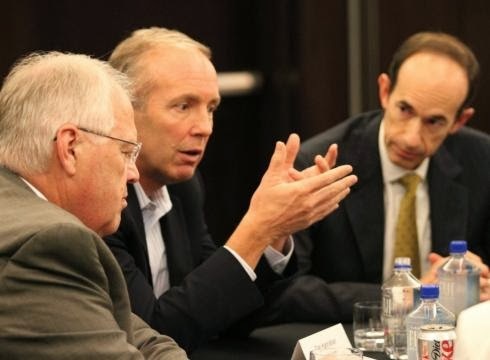 In a series of posts above I explain why in my opinion it is difficult to accept that they have done anything like a "full investigation" of the ownership history, leaving many questions unasked and some important information totally ignored. The effect is amateurish. Unfortunately it would seem that the "scientific" testing has been rather skimpy too, and the interpretation and on closer examination the presentation of the results may be seen to lack any semblance of intellectual rigour. The first part of the rather skimpy text of the relevant chapter concerns the "Scientific tests and observations" (pp. 53-60, just seven pages) and claims to "bring together all the significant technical analyses and observations to date". Bennett stresses (p. 53) that as far as he is concerned "the conclusions reached through laboratory tests and examinations support and fully corroborate the testimonies addressing the work's ownership history". He means Hypothesis "A", I am not convinced by his arguments. Neither do I accept that the tests they have done 2003-2013 can by any stretch of the imagination be called "exhaustive" (see below) nor do some of them in fact "prove" what they are supposed to prove. In the next few posts (reading downwards, they have been posted in reverse order) I want to discuss - as far as is possible from the skimpy presentation by the art-historian - these results and demonstrate that (if anyone was in any doubt) they are by no means the watertight proof the Museum represents them to be. There will be fifteen (or so) posts, some may still be "under construction" for the next few days. At the end of World War II the area [of Leutwitz] had been overrun and ransacked by the Red Army, sustaining considerable damage. 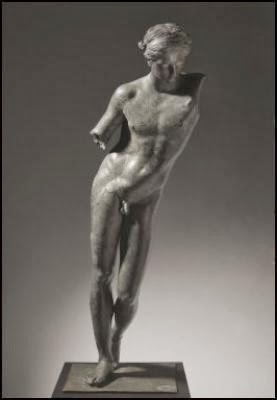 Presumably at that time, in the mid 1940s the sculpture was forcibly separated from its base and broken into pieces I thought of the jagged edges of the severed left hand and forearm and upper right arm, the crushed torso at the right side, and the dent on the outer right thigh (see figs. 5-7, 23-4). In the mid 1940s a ferocious ground war between Soviet and German forces raged in the area surrounding the property likely resulting in much of the damage now visible on the statue. Artillery shells or incendiary bombs might have been the cause, either directly or indirectly damaging the statue via flying or falling debris. 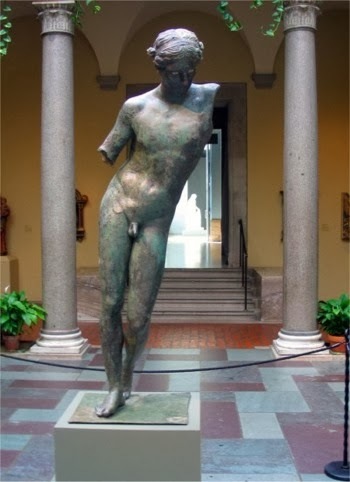 This was probably the time when the figure was forcibly separated from its modern base, perhaps along with the slender tree that was once mounted to it"
This "broken up by barbarians in the War" motif is used to construct the argument that (by whatever means) the sculpture is "better off" in an American museum than over in barbarian Yurope. The "in the aeroplane scene" passage is quite a remarkable one. First of all, where else in the book is there any mention of the sculpture and the base being separated, or being separate? "Nowhere" is the answer to that one. In fact quite the opposite, later on in the book, the reported unaltered state of the corrosion between the feet of the statue is used as evidence that the plate now under the statue was added in the deep past and has never been removed - thus it dates when the object was above ground. Nowhere there is it explicitly stated (though this seems to be the case) that two separate objects are being discussed and this is not indicated by any of the illustrations. Now we learn in fact that this corrosion is not intact, because (Bennett says) the statue was separated from its base in 1944. Why this discrepancy? Why do we not have an objective and detailed description (with microphotographs) of that all-important join in this "exhaustive" and "rigorous" book? It is a key point. Is the plate now attached to the bottom of the feet by ancient solder or modern epoxy glue? Was the plate on the feet when the object was (allegedly) stored in a "chest" in Mr Walter's back room? Was this statue broken into pieces in 1944? If the breaks on the arms are 1944 vintage and the leaded bronze object was stored in pieces in the house or a shed (and even if it was outside in 49 winters) would they have the degree of corrosion on the breaks that they did? Remember this is precisely the region from which Peter Northover's samples probably came (again, such a vital piece of information as the precise spot sampled is missing from the art-historian's account, but we may assume - given the value of the object and what it says about the samples Northover received - they sawed pieces out from the breaks where they were less noticeable and could be gap-filled). Northover says the corrosion at precisely that point was consistent with long-term burial in the earth. The arms were missing before burial and not after being dug up. I doubt whether Mr Bennett has actually seem shrapnel and shell damage to metal structures. I suggest he might like to visit war-torn places (like Warsaw) where you can still see what munitions used in the Second World War did to buildings and metal elements. The hole in the Apollo's thigh (and calf) is not, I would say, modern war-damage. In any case, the depressed area has the same earth-grown corrosion in it as the area around. Being violently hit there in 1944 would cause this to flake off. The damage to the object which we see today seems therefore to be due to something which occurred in antiquity, perhaps connected with the events at an unknown place and time which led to it being buried in such a way that it was not found by scrap-metal looters of antiquity. But actually Bennett writes not of the object being "blown to pieces" by Red Army (or Nazi) gunfire. The phrase he uses is "broken into pieces". For example as an act of vandalism, or for melting down, or maybe transport. David Gill raises the question of what the X-rays taken by Cleveland Museum show about the breaks and distortions of this object. They are not published by Bennett and it is a puzzle why in an "exhaustive" and "rigorous" account the reader is not supplied with that information - after all Bennett describes how the construction of the object from separately cast pieces is evidence of its ancient origin. So why is there not an image of these breaks, or at least a diagram showing where they are? That seems a very superficial approach to the matter of the technology of the piece and its later history. Perhaps there is something there that Cleveland would rather was not discussed? However fanciful that may seem, suspicions are raised by the fact that a lot of trouble went into showing that the object was reportedly "in pieces" ("in a chest") in Leutwitz still in 1994. The testimony of two eye-witnesses is utilised to "establish" that point in Bennett's book. But then Bennett's book inexplicably omits an important fact. There is a published account which places the object in reconstructed form in a (German?) restorer's workshop two years earlier, in 1992. How to explain away not only the discrepancy, but also the fact that the CMA's "exhaustive" and "rigorous" account fails to mention the existence of this testimony, let alone attempting to explain away why they reject it and prefer the other testimony (from the same eye-witness written only a few weeks after the Bucharest conference)? Is that an example of the "exhaustive" and "rigorous" approach to a decade's research establishing the facts we can expect from scholars at the Cleveland Art Museum? If so, that is pretty pathetic. Pocked with indentations and mottled with red and green oxidation, the sculpture is missing its left arm from the shoulder and its right arm from the mid- bicep. Gone too is the tree on which the lizard once scampered. But the museum's purchase included the sculpture's detached left hand and the lizard. Although it was knocked off plumb at some point, the sculpture still exemplifies the grace of classical Greek art, later emulated by the Romans. This relates to the suggestion by Bennett that the object has been damaged by Red Army shelling and "incendiary bombs". So has the statue been "knocked off plumb", and when and how? Well, not since attached to the base it is on at the moment. It was soldered to the base by the open rims of the foot and any violent blow would simply (if not tearing the thin bronze itself) have torn the bronze off the base without distorting the legs to any degree. If the feet had remained intact any substantial movement of the upper part of the statue from its intended position would have led to creases and tears in the legs, probably at the ankles. The leaning of the figure as we have it today is determined by the relative position of the feet in the cast. In the essay by "Dionysia Xanthippos" (sic), "Apollo Sauroktonos, or How the Romans Killed the Lizard-Killer", the Ancient Worlds, May 24 , 2006, we learn of other leaning copies of the original Apollo and why it is significant. The problem is, as I have already pointed out, a heavy lean like this leaves no room for Apollo's left arm to rest (however you place it) on a tree attached to the front corner of the small plate on which (we are asked to believe), both were mounted "over 100 years ago". The effect of trying to do that is just comical. It seems to me evidence that there ever was a tree soldered to that plate - so why are there clear solder marks? While discussing the solder marks, let us take a quick look at what is being presented as the solder used to fix the base of "the slender tree" to the base plate. First of all let us note (assuming there was a tree) that the small area of the circle of solder does not mean that the object it attached was so slender. There may have been for example a sawn-off tenon at the base of a thicker element, and it is the stub of the tenon that was soldered to the base plate. The dimensions of the base plate are nowhere given in the book and it is difficult to judge the diameter of this solder patch. Nowhere are its precise details discussed. The only photo which shows it nearly close-up indicates it is an annular zone of something-grey with an irregular edge and irregular upper surface. And here is the puzzle if we want to interpret this as traces of an attachment of a larger unit. How was this solder applied? If the solder fixed a large object to the plate which was wrenched off, where is the traces of the lower edge of that object preserved in the upper surface of the solder? Where is the trace of tearing of the lead solder 'pad' that would occur as it was detached? Why does the upper surface of the solder look (from the photo) like it has been roughly smeared on with a soldering iron and left? Has anything in fact ever been attached to anything by this solder? Can we have some better photos which show the characteristics of a broken soldered joint if that is what CMA want to claim it is? Has CMA's Dr Bennett ever done any soldering (but not using a modern electric soldering iron)? The spectrometric results were rendered difficult by the corrosion, the characteristics of the corrosion . of the two samples from the statue suggested "a very long period of time exposed to a burial environment". The third sample form the base appeared to be different, something confirmed by the different corrosion history [...] the base has corroded differently, although naturally. It has certainly been added later to the sculpture, not recently, but no earlier than the Renaissance. Peter Northover, a materials expert at Oxford University, said his analysis shows that the alloy in two samples taken from the sculpture is similar to those in other sculptures from ancient Greece and Rome. A third sample shows the sculpture's base was made between roughly 1400 and 1900. In the absence of Northover's actual report, it is interesting to speculate how we get from the one to the other. Again, any assessment of what conclusions we can draw from this are hindered by a total lack of detailed information where the samples were taken (particularly important in the case of the base). In the case of the two arms, the obvious place to saw a little bit out to embed would be from the broken surfaces, suggesting that the breaks which have corrosion on them showing "a very long period of time exposed to a burial environment" were not made by the Red Army in 1945. No characterisation of the corrosion products is given by Bennett in his reporting of what Dr Northover found, so it is difficult to know what it was about it that declared the patina on the part of the base analysed a natural patina. Neither is it clear why Northover says it was "not added to the sculpture recently" (was he informed that the base is apparently not in fact joined to the sculpture?) Did his assessment come from the spectroscopy of the sample, or some other information we are not aware of? Also what makes its attachment necessarily post-Renaissance? Again, is there something in the analyses we are not told by Bennett? Another set of samples were submitted to Dr Northover in Oxford 'after acquisition' and the report was received on 1st November 2006. Again, the report is locked away in a filing cabinet instead of being published as part of the documentation of this object. The composition and state of corrosion are consistent with a statue from the classical period which has spent many centuries in a burial environment, and has been re-exposed to atmospheric corrosion and precipitation. 3) ... many centuries in a burial environment, and has been cleaned and re-exposed to atmospheric corrosion and precipitation and then cleaned again. Which is it, because at some stage the object was cleaned. Was Dr Northover informed of that, and asked whether the exposure took place before or after the cleaning? Suppose the dugup statue had stood for twelve years under a leaky tarp round the back of a shed in a coastal town in Northern Italy, for example? Condensation at night, salt in the sea-breeze? What is there in the corrosion that negates such a scenario? Bennett's account does not say. Te point is of course that Northover's analyses cannot support the CMA's reconstructed collecting history if that history was an assumption at the basis of Northover's own interpretation of the results. We are not told precisely how these interpretations were arrived at. That is not documentation. CMA should let Dr Northover speak for himself and publish the full reports they commissioned. This is just what one would expect for an ancient bronze that had been outside of its archaeological context for about one hundred years, remounted on a bronze plate that served as its base and exposed to decades of annual seasonal freeze and thaw cycles on an isolated East German estate. Except the analyses done by Northover can never prove that it was on an East German estate. Neither has the case for it being out of its archaeological context for "about one hundred years" actually been demonstrated by Northover's analyses (nor any other, see above). This is not a scientific proven fact, it is wishful thinking based on a superficial interpretation of a handful of conflicting textual evidence. That is not scholarship, it is story-building. There was an addendum to Northover's report too (pp 57-8). This was submitted in January 2007 - note that Greece only a month later accused the Cleveland Museum of having bought an object looted from the sea off Greece. Northover was asked to confirm on the basis of the same samples that the object had not been recovered from the sea, which he did (actually the word he used were "strong circumstantial evidence"). The fact that the report dates to a month before the accusation surfaced is worthy of note. It is not stated on what grounds Dr Northover established from eight small samples "the condition of the interior of the figure". It was in this addendum that Dr Northover also suggests that the fracturing of the object took place when it was exposed to heat and then struck by something (note the way Bennett on p. 54 for no real reason I can think of introduces Red Army "incendiary bombs" - not something infantry units generally carry). Of course this could equally refer to the burning of a building in which the object was housed in antiquity - the dents and breaks all have corrosion suggesting burial after the damage. He also reiterates (p. 58) that the corrosion of the base and statue are different (cf what Lie said earlier) and "examination of the area where the figure is in contact with the base will further illuminate this aspect". He therefore seems not to have been informed of the results of Lie's analyses, nor - indeed - of the fact that the base and feet were no longer attached to each other by the old joins. The conclusion of the two previous reports was that the condition of the figure was consistent with the reported history of the figure. Any proposal of an alternative history has to be equally consistent with the observed external and internal condition of the figure [...] It is this writer's view that the state of the Apollo Sauroktonos is best correlated with the originally reported (sic) history, together with the additional suggestions as to how this statue was broken and buried based on his examination of the samples. Bennett himself repeats this idea, taken out of the 2007 context (p. 58). The problem is that in the documentation under consideration here, absolutely no detailed information is provided of the external condition of the object and not even a smidgen of a hint about what it looks like on the inside. Obviously if CMA wants to throw out such a challenge they should first publish the evidence properly. Among other things, in the extract of the 2007 report Bennett cites, we do not find any indication of how Northover correlates his "suggestions as to how this statue was broken and buried based on his examination of the samples" with the "stood in the garden at Leutwitz" story. Does Northover conclude that the arms were blown off by the Red Army, or does he conclude that an armless statue stood in the garden with the loose hand and loose lizard on a stone bench nearby? Come on Cleveland, publish the documentation, publish the report before you even think of organizing a seminar. Scrounge some more money off a rich businessman (p. vii) and do a proper job of publishing this object. In November 2003, that base plate was still on people's minds. Bruce Christman, CMA's conservator submitted a conservation report needed for acquisition. There is talk of the x-ray analysis and the ancient joins between various parts in the casting process (p. 60). None of this is properly presented in Bennett's "exhaustive" presentation. It is odd to find that although Northover's analytical results are not detailed, Christman's are (p. 60). The right foot is cast of a 10% tin-bronze with "between 10% and 15% lead". Bennett's main interest in Christman's work (pp 58-9) is in that base. He had carried out a close visual examination with careful attention to the areas of contact between the base and the figure. He concluded that the "base and sculpture shared a long history. Here Bennett notes (p. 58) that Christman records that only the right foot has the chased position line. Dr Lie said two of them had (p. 56) casting some doubt of the reliability of the rest of his reported observations. Like Lie, Christman says that the corrosion products in the traced line "seem to be very old" (p. 58). There is residue of lead-based solder under the feet and on the base in exactly the correct locations, sizes and shapes to accord to where the feet and tree must have been joined to the surface of the base. There is no indication that the original join between the figure and the base had ever been disturbed since the figure was separated from it  a thin layer of green corrosion appears on top of the lead-based solder [...]  there is no evidence whatsoever that either the base or the areas under the feet were ever artificially treated to make the joins appear old. The corrosion observed on the lead-based solder and on the bronze base are consistent with a piece that has been in an outside environment or buried for several centuries [...] technically it is not possible to join heavily corroded pieces of metal together without cleaning the corrosion off by abrasion or using acid-based fluxes that would disturb the corrosion layers. Based on these observations, the area of the joins appears not to have been disturbed for at least a century and probably longer. Now wait a second. Does that last bit mean that the copper corrosion products go under the lead? In the case of the base plate, why can the solder not have been applied to the patinated copper alloy plate using some kind of chemical flux and then the edges of the two areas obscured by inducing artificial corrosion of the lead (higher on the reactivity series than copper)? Much is made of the lack of evidence of chemical patination of the lead (allegedly it would produce much more even corrosion products than Mr Christman observed). But then, lead is particularly susceptible (as any museum conservator will know) to organic acids. Stick lead tokens in a drawer with a hardboard bottom or attacked to some grades of cardboard and you are asking for trouble. Chinese fakers bury items like this in a goatshed. Next year they have a wonderful patina of age. I do not see how Mr Christman sees this operating. If the corrosion on top of the sheared solder joins "looks old" then it got like that when the statue was not on it. In that case, how likely is it that this statue was standing on that plate in 1935 if the CMA want to show that this corrosion developed a hundred years ago? I think we need much more detail about what those solder joins look like, where this corrosion is and where it is not, and also what the chemical composition of that corrosion is. His isotope analysis of four samples of the solder showed that the figure must have been attached to the base nearly a hundred years ago and was therefore outside of (sic) its archaeological context before that time, and probably long before that time". That statement seems ripe for analysis (initially let us leave aside the question of how this analytical technique works). Let us note in passing that it is not stated whether all four produced exactly the same results. The first question of course is what is there in the analysis discussed here which allows Bennett to say - apparently on its basis - "and probably long before that time"? Is that in Pernicka's report? If it were to be published, is that what we'd find there? Because if it's not, by what right is Bennett adding it here? The next question I'd like to learn an answer to is whether there is (or was) a plug of lead in the inside of the foot or feet of the statue. If so, was its isotopic makeup analysed, to 'date' it or whatever, and how does it compare with the solder? Thirdly, we read from the second Northover report that the lead phase of the alloy in places separated out, forming large globules. Was the lead isotopic content of any of these analysed, to 'date' the statue? What about the solder on the "lizard"? It is one thing to date the production of lead from its ores, and another to extrapolate that date to the use of that lead in a soldered joint. A lead pipe from the renovation of a 1902 villa in Stuttgard could have been re-used by any handyman to make hard-solder in 1930 or 1989. More interestingly if the lead had been obtained from metal detecting the spoil heaps of a lead-production site of a specific locality in order to mislead researchers that the base was soldered on in a specific place (the main use of lead isotope analyses is to establish the origin of the raw materials) and that factory had gone out of use more than 100 years ago, the same effect would be obtained. The date of production of the lead from its ore does not date its use and re-use. Now for the past two days I have been in correspondence with Dr Pernicka, who has been very helpful and is interested to know how the results of his work were used by Bennett (who seems to have neglected to contact him to run his text by him to check he is not misrepresenting what was said). I will be sending him a scan just after I post this. Unfortunately he considers that contractual obligations with Cleveland restrict what he could tell me on record, but he has been able to tell me a lot which gives grounds for thought. Let us just say that if what I learnt is true, very little significance can be placed on these results due to the way Bennett has presented them. I challenge Cleveland Museum of Art to publish the FULL report of this key test with all four of the samples properly described and the results of their isotopic makeup detailed. If they have nothing to hide about one of them, then there will be no problems. Or perhaps they would rather not reveal what one of the results actually was, and where it was from? Of course an ideal solution would be to pass the old report back to Dr Pernicka and ask him to edit it in a form which reflects now what he has learnt about the uses to which the results will be put. *It is a shame the Queens' Rhyton was not tested by it before it went back to Iran. In concluding (?) this series of thoughts on reading and re-reading the Cleveland Art Museum's not-so "exhaustive and rigorous" definitive publication on the Leutwitz Apollo, let me formulate one other hypothesis that seems not to have been considered by CMA. Hypothesis C suggests that the square baseplate on which the Apollo now stands was not originally made for that statue. That is why the tree does not fit on. It is perfectly possible that to an antique sculpture has been added in very recent times (such as the 1990s) an old statue base obtained from salvage. The base had been used for another statue (traced foot outline) but not this one. I expect many restorers have such things round the back of their workshop, taken off another statue - now mounted nicely - and kept "in case use can be made of it". The base and its patina would be genuine, its association with the Leutwitz statue would not be. This is a trick used in the past to give false pedigrees to objects of "dubious" origins. One thinks of Tokely-Parry the restorer, who fixed objects to old-looking bases with tea-stained and tattered labels from the fictional "Thomas Alcock collection" to make them look as if they were "out of Egypt" long ago. Exactly the same idea as behind hypothesis C. Marinescu says she first saw the object in a restorer's workshop in 1992, well before it reached the Aboutaams. Her photos (if they are hers from this viewing) show it standing on the present base then. In order to make it "match", one could not simply solder or braze the plate onto the Apollo, it would be seen this was a new joint. So the two are presented separately (sending everyone off track by a story about how it was "in pieces when found"). But the base plate has some solder marks made by some jiggery-pokery to match the base of the statue, and they are also nicely "corroded". But then as I showed above that corrosion does not match the story of Hypothesis A.
Bennett challenges the proponents of hypotheses opposed to his to account for all the physical characteristics of the object. In fact all one needs to do is address that base and its solder, the statue is genuine enough. Yesterday, driving across Warsaw (always a good occasion for a deep think) I came up with a method of putting solder onto that plate to duplicate the facts as presented by Bennett. It is actually quite simple and a restorer with a metal-object-restorer's tools could do it. I am loathe to present it here as all that would happen is that CMA would retort "yes, but it does not take into account..." and then present an additional piece of information not in Bennett's skimpy coverage. I am perfectly willing however to discuss how I think (I am pretty sure) one could put that solder on the plate to make an association between a modern plate and ancient statue, but only after CMA have placed their cards on the table. Let them first in detail present all their evidence that this is not one big fake-up, and then we can discuss whether Hypothesis C has any merit or not. I sincerely doubt that this statue was out of the source country in the 1930s. I sincerely doubt that it stood for any length of time in Leutwitz. On the light of what I have learnt, I speculate that we are looking at an object that was removed from the source country about 1990 (maybe in the decade previously?) and that at some stage - during its restoration - by jiggery-pokery a base has been deceptively added to it. The eye-witnesses who testify otherwise are, in my opinion, unreliable testimony as they could so easily have been mistaken. I think CMA need to go back to the drawing board. They need to properly publish (in full) the evidence which they say documents their claims. They need to supplement it by further research, including at last going through those German archives. They should do the job properly this time, leave no stone unturned, not to prove their rightful ownership, but to see if there is nothing that challenges it (like the second Marinescu testimony). Finally I think there are some questions the Museum's trustees might like to ask Mr Bennett (on behalf of the person who forked out five million dollars of their money on the basis of what the Museum told them) about what he omits to discuss. There seem to be some key elements of the discussion missing from his recent account. Now look at the photo from the back cover of the recent publication, in the light of what we know, does not what we see today on that inadequate base simply reek of being a pastiche? The US refusal to pay its due share of the financing of UNESCO is (as reported several times on this blog) because of Palestinian membership in Unesco. Along with the rest of us, Nigel Cameron ('The US should pay its UNESCO dues', Guardian 27 October 2013) says "It's a horribly misguided approach" . He describes this as another foreign policy disaster for the US, one "hardly anyone has heard of". Unesco, the United Nations Educational, Scientific and Cultural Organization, is about to give the United States a dishonorable discharge (the US could lose its vote at the Unesco general conference). Why? Because America has failed to pay its membership dues. The world's top power is effectively being booted out of the world's top soft power network at a time when soft power is key to global influence in the 21st century. Notice how America's leaders are not making speeches, the press are not editorializing about this, and even the think tank community has given it a pass despite the fact that we are now well into the final act of the tragedy. As the days tick past, it's worth pondering the lapidary words of American poet and diplomat Archibald MacLeish, a former Librarian of Congress and one of Unesco's founders, which have become the organization's motto – words that can give us goosebumps: "Since wars begin in the minds of men, it is in the minds of men that the defenses of peace must be constructed". Let's hope America can not only avoid the potential humiliation of being labeled a deadbeat, and even more importantly, that the US will renew its commitment to international cooperation in the defense of peace. Taking a leaf from the British Museum's book, the Smithsonian's Richard Kurin has compiled a selection of 101 objects in the Smithsonian's collections which offer a "new perspective on the history of the United States from "the earliest years of the pre-Columbian continent to the digital age, and from the American Revolution to Vietnam"
each entry pairs the fascinating history surrounding each object with the story of its creation or discovery and the place it has come to occupy in our national memory. 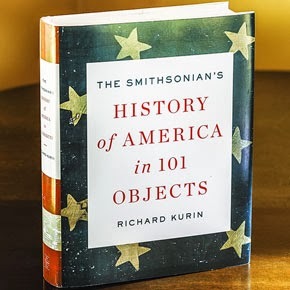 Kurin sheds remarkable new light on objects we think we know well, from Lincoln's hat to Dorothy's ruby slippers and Julia Child's kitchen, including the often astonishing tales of how each made its way into the collections of the Smithsonian. Other objects will be eye-opening new discoveries for many, but no less evocative of the most poignant and important moments of the American experience. Some objects, such as Harriet Tubman's hymnal, Sitting Bull's ledger, Cesar Chavez's union jacket, and the Enola Gay bomber, tell difficult stories from the nation's history, and inspire controversies when exhibited at the Smithsonian. 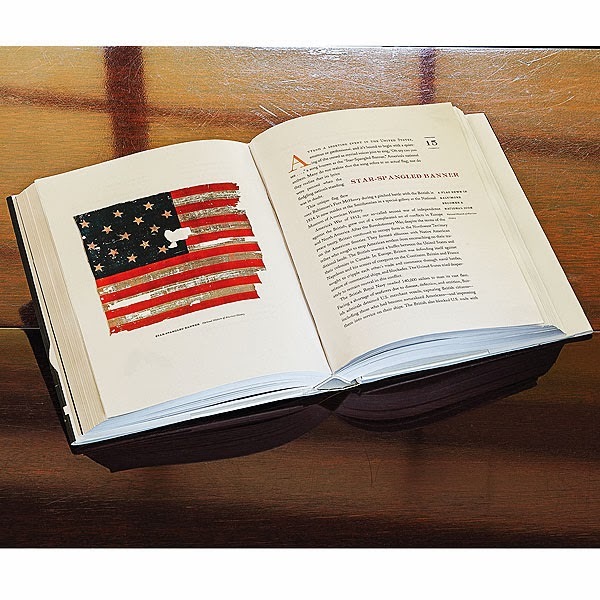 Others, from George Washington's sword to the space shuttle Discovery, celebrate the richness and vitality of the American spirit. In Kurin's hands, each object comes to vivid life, providing a tactile connection to American history. 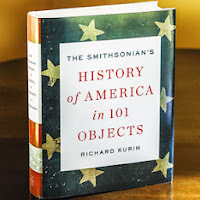 "The Smithsonian's History of America in 101 Objects is a rich and fascinating journey through America's collective memory, and a beautiful object in its own right". I would very much like to hear from one of those US "cultural property internationalists" his or her version of how this differs from the use of objects to construct a national story in those nations they label contemptuously and xenophobically "cultural property nationalists". As for those who they equally unjustly label "cultural property retentionists", what if all those hats, jackets, shoes and other historical clobber had been bought by oversees collectors and these "parts of the national memory" were sitting scattered in various museums and private collections between Peking and Kuala Lumpur, and collectors over there were loudly proclaiming their "rights" and intention to take more and more? Ton Cremers' "Museum Security" discussion list has been immensely important in the fight against the Black Hat Guys of the heritage dispute. The regular newsfeed has been a very important resource for heritage professionals and writers and people interested in cultural heritage issues for many years (though I wonder how many artefact hunters and collectors actually subscribed). If this blog is anything to go by, collecting, editing, verifying and disseminating this information was a very time-consuming task and Ton kept the information coming real-time, sometimes adding his own trenchant comments (those on the SLAM Ka-Nefer Nefer mask case, which in fact he had a huge part in initiating, were particularly welcome). Ton also was very supportive of my blogging efforts from the beginning, and in my discussion of the weasel-worded wackiness of the US dugup coin trade lobbyists. Sadly today, its initiator and owner Ton Cremers announced: "after 17 years of Museum Security Network I have closed www.museum-security.org. The Google group and its archive will remain online". Ton Cremers deserves recognition for the effort he put into creating and running this resource for so long. We all owe him our thanks and best wishes for the future. Of course its never occurred to these folk that their parochial law is simply badly-written and moreover simply fails to measure up to the needs of the times. Beginning in 2001 and continuing for a decade, National Geographic paid the archaeologist between $80,000 and $200,000 a year for his expertise. The payments came at a time when the popularity of mummies and pharaohs was helping transform the 125-year-old explorer society into a juggernaut with multiple glossies, a publishing house and a television channel. But they also came as Hawass was still employed by the Egyptian government to oversee the country’s priceless relics.So did this money give Nat Geo unfair access to a lucrative market for all things ancient Egypt? There are a number of so-called "cultural policy" institutions set up by antiquities dealers and collectors in the US, and this could lead to confusion who is who. I thought it might be useful to note those most noticeable in the field of antiquity collecting. Develop detailed information and analysis on cultural policies within the United States; assess the effect of federal and state statutes and court decisions and administrative directives, rulings, and guidelines as they relate to cultural property issues, including the protection, ownership, borrowing, lending, buying, and selling of cultural property. Create and distribute information materials and publications on cultural property matters to educational institutions, museums, collectors, legal and other specialists, and professionals concerned with the trade. Create appropriate forums for the discussion of cultural property matters by concerned institutions, groups and individuals and to keep people connected with the American Council aware of changes in the law when possible. It is not at all clear whether, and to what extent, the ACCP ever did achieve any of these aims, which now seem duplicated by other groups. The website seems not to have been updated for a number of years (see here and here for example). Its stated aims sound wholly altruistic: "The Cultural Policy Research Institute is dedicated to advancing public education and understanding of issues of cultural property" and is "dedicated to the study of national and international policies to protect and preserve the world's antiquities, monuments, and archaeological sites, and to advance human knowledge for the benefit of all" . It is less clear who that "all" is, one suspects from the tenor of the material it produces it largely means "all US collectors". Note that the mission statement does not actually say what after having "studied" all those international policies, the target is. Neither is it clear what is understood by the rather broad term "advancing human knowledge". In the first period of its existence, the CPRI ran a number of projects and programmes, but seems not to have done anything much recently and there is a question whether the organization still functions and what it currently does (the website has not been updated for an extensive period of time). The presentation of select legislation (presumably compiled by Peter Tompa) may be useful to some readers. to address an urgent public need– to bring US cultural policy back to a reasonable middle ground through education, legal initiatives and direct dialogue with museums, scholars and government entities. The U.S. must balance protection of national patrimony and archeological resources with an equally strong focus on U.S. educational interests in the free exchange of art. The Committee for Cultural Policy has a few ideas about how to achieve what it calls a "middle road" and solve the above-identified problems which it has set out in a 2013 so-called "white paper", the "first strategic review of policy from a museum and collector perspective", authored solely by William Perlstein (A Proposal to Reform U.S. Law and Policy Relating to the International Exchange of Cultural Property). Take a look at what these people represent, I'll be examining this controversial document in the next few days. Who else is in this grouping apart from Mr Pearlstein, or is this in fact only a one-man 'organization'? The "Ancient Coin Collectors' Guild", based in Gainesville Missouri, is a "non-profit organization committed to promoting the free and independent collecting of coins from antiquity. The goal of the guild is to foster an environment in which the general public can confidently and legally acquire and hold any numismatic item of historical interest regardless of date or place of origin. ACCG strives to achieve its goals through education, political action, and consumer protection". To lobby effectively against the imposition of import restrictions on coins of any age or place. To seek, in the event of adverse legislative action, favorable administrative or court interpretations affirming the right of individuals to collect objects from the past. To fight for the continued existence of a free market for all collector coins. To bolster legitimacy of the ancient coin market through establishment of a national dealer code of ethics. To offer the centralized services and advantages of an umbrella organization to regional and local clubs for the purpose of promoting initiatives, sharing resources and coordinating programs of mutual benefit. To establish a far reaching program of public education, through public media, to highlight the accomplishments of private collectors and their contributions to our knowledge and understanding of the past. To develop educational services and opportunities for Young Numismatists and to support the general introduction of ancient history and numismatics into school classroom programs. To work as a consumer advocate for the protection of ancient coin collectors against fraud and unscrupulous business practices. To negotiate member services for collectors under favorable terms based on group rates and consolidated buying power. To nurture a strong sense of identity among ancient coin collectors and to offer an opportunity for collectors to escape the "Robinson Crusoe Syndrome" of feeling alone in their collecting interests. The group's activities seem today largely restricted to pursuing a number of conspiracy theories and a pointless courtcase involving an illegal coin import stunt several years ago. The latter is limping now to its final stages and it is unclear what the group plans to do when it finishes. The Cultural Property Advisory Committee. I would like to say that this organization (instituted by the Convention on Cultural Property Implementation Act) actually does provide advice to the US administration on cultural property policy. Its name is however a misnomer, and it was set up purely to fulfil a single task within the system. The United States of America has no governmental body in the administration equivalent to the Ministry of Culture of most other countries, which is part of its problems. There seems to be a pattern emerging here. It appears that in the US dealers and collectors are worried about the efforts being made to clean up to some extent the US antiquities market, largely ineffective as they in fact are. Presumably (and despite what their organizations insist that their aims "are") they consider this a threat to the carefree way they are accustomed to handling antiquities. Let us note however that this concerns mainly antiquities imported to the USA from other countries - these groups never seem to reach out to US metal detectorists and arrowhead collectors in order to work together in discussing and presenting the case for collectors' rights. A principle reason for this is of course that incorporating domestic artrefact hunters in the discussion makes it more difficult to present the issues as purely an "over there" problem, where the pesky and ultimately unworthy foreigners are infringing on US rights, and the US gubn'mint is not protecting the US citizen's rights to plunder by not holding out against their expectations of the US. This is their preferred ploy. Actually defending all US antiquity collectors' "rights" would instead place the discussion in the context of the preservation of the archaeological record and historic environment. It seems to me that this isolationist tendency of such groups should be resisted, they are a refusal to treat the issues honestly in the wider context. They are attempting to evoke nationalism (the very nationalism they criticise in the foreigners) and individual "rights" instead of focussing on the environmental issues and sustainable use (management) of a finite resource. In the same way, these groups noticeably all focus on the legal, and only the legal aspects of the problem. This is a tacit admission that collectors and dealers really could not give two hoots about the moral and ethical issues involved, their sole concern is to stay within the letter of the law, even if that means exploiting the many loopholes in the existing laws (see the recent discussion on what - legally - constitutes "ethnological objects", as if that were the most important point in discussing US cultural policy and ideology). In reality in the US antiquities trade the legality that is evoked however is more often than not a "they-can't-touch-you-for-it-legality", in other words, doing that which is not-illegal. Of course the problem for that type of business is the danger that they are dealing with a "they-can't-touch-you-for-it-at-the-moment-legality" if the laws are revised to become more effective at preserving what they are instituted to preserve from damaging commercial exploitation. For this reason, there is no discussion here of issues such as sustainability, resource management, moral responsibilities within the market (it's legal innit?) and related topics. Attention focus on maintaining a legal status quo, or returning to some anachronistic vision of the golden take-take years of colonialism and 'partage'. Yet each of these organizations does its level best to hide that. The mission statements are carefully crafted to sound altruistic to attract sponsors and support. They declare their aims as "educational", they want to enlighten the public, bring them culture, tell them about their problems as collectors on a cultural mission - hindered by those nasty twisted and biased radical preservationists. They will not tell you what they are really up to - which can be seen as basically attempting to undermine US efforts to help protect the global heritage in a global (that is not purely object-centred) manner. Fortunately another tendency can be observed, the dealers' lobbyist organizations are somewhat incestuous, they all make the same points, attack the same imagined problems with the US administration of its fragmentary cultural policy (sometimes at personal level), and the same people are involved in a number of these groups. They also arise with a great fanfare, conduct a couple of 'actions' and then fade away within a few years. Obviously they find it difficult keeping up the interest and support of US collectors and dealers (a fickle bunch) by whatever scare tactics or gentle persuasion they use. It is less easy to determine whether the effects of their activities are as ephemeral as the groups themselves. Certainly, so far these groups have gone into decline well before they have even begun anything that can be termed 'dialogue' in an effort to come jointly to some kind of agreement or compromise. They want to 'go it alone' in constant opposition, and if the truth were known, it would very soon appear in any attempt at dialogue, that - although they are very vociferous in presenting their demands and finding fault with others - they in fact have not "studied" the problem to the degree needed to have more than the barest inkling of understanding of the issues as seen by the other side in any future discussions. It is far easier for them to have and propagate stereotypical pictures of their "opponents" rather than face up to the wider reality. The "Crosby Garrett Helmet" was sold to an anonymous buyer for £2.2m in 2010 after it was dug out of an unknown context in a Cumbrian field by metal detectorists who flogged it off. It ws bought from under the nose of the Tullie House Museum who had striven to raise funds to buy it on behalf of the public. Under circumstances that remain unclear, it is however at last going on long-term public view, from November it will be displayed at Tullie House Museum. Its display at Tullie House is supported by the Art Fund and The Monument Trust [...] Following its stint at Tullie House, which runs until 26 January, the helmet will go on show at the British Museum. It is not really certain what the Art Fund and The Monument Trust are paying out for. Perhaps its to repair the gapfilling. The identity of the winning bidder has never been revealed. There will be a conference on Saturday 9th November. "The morning of the day will concentrate on the site where the helmet was found, while the afternoon will have lectures by Mike Bishop and Jon Coulston, and will put it into its international context". So at last we will hear the results of the excavations of the findspot by the PAS carried out two years ago in great secrecy. What did they find? 500 detectorists – ( 12.5% of all detectorists! ) – attended Central Searchers’ Summer Rally this year. A County Archaeologist is leaving after 28 years and isn’t being replaced. But one detectorist has just said: “I hope she ends up working on the streets….detectorist’s across the Country will raise a glass and rejoice at her departure” . Another has said: “Good riddance! Another one bites the dust….. They never learn. All those years spent bitching about detectorists amounts to her demise….but detecting moves on!” Is it unreasonable to hope that archaeologists and politicians (and decent thoughtful detectorists!) will drop the ubiquitous “tiny minority” phrase from all their comments on metal detecting? It’s clearly inappropriate, the minority is not tiny and the misdescription has helped sustain a great deal of wrongdoing and cultural loss for far too long. It strikes me that considering the PAS is now into its 17th year and has now cost in excess of 15 million pounds, the British public has a right to know just how well it is doing and not be fobbed off with glib assurances which bear no relation to reality. How extensive, really, are best practice and a true "partnership" between archaeological heritage management and artefact hunting in England and Wales? 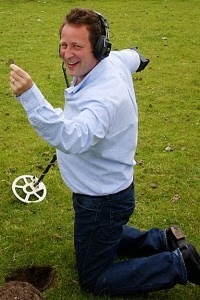 Focus on UK Metal Detecting: "Detectorists across the Country will raise a glass and rejoice"
Good riddance! Another one bites the dust. [...] They never learn. All those years spent bitching about detectorists amounts to her demise.... but detecting moves on! Of course the official version is that metal detectorists are passionately interested in history and are the "partners" of archaeology. This is not actually true of course, many of them would like nothing more than see all archaeological preservationists silenced for ever. Meanwhile the rest of us feel that crowing like that because somebody has lost their job a little below the belt, but hey what can you expect, they are metal detectorists and do not care about what other people think.